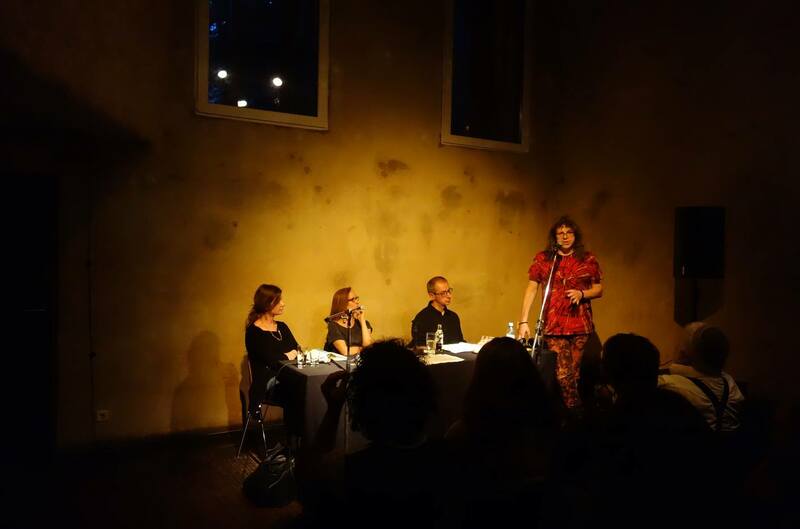 Trilingual festival “Poetry without borders” took place in Riga for the second time on June 8-10. In the centenary year of Latvia the festival invited the poets from Israel, the country celebrating now its 70th anniversary. For all three days in the cultural centre “Kaņepes” poems sounded in Latvian, Russian and Hebrew, every poem with two translations. The audience could hear well-known authors and interesting newcomers representing very different creative approaches. Feminist poetry of Latvian Inga Gaile, uncompromisingly treating personal traumas and social stigmas and seeking for their metaphysical dimension, contrasted with barely graspable feelings and subtle inklings in Valery Ledenev’s miniatures and with elaborated meditations by another Russian poet Ekaterina Zakharkiv. 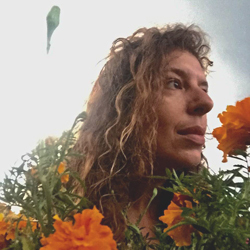 Exquisite sonnets and other classical forms in Dory Manor’s works, conceptualist repetitiveness in Efrat Mishori’s texts, provocative variations on Biblical themes presented by Avishalom von Shiloach — Israeli poetry was represented in all its diversity. As the dialogue is the main idea behind the festival’s conception, many participating poets easily switched from their original texts to translations. Thus, Uldis Bērziņš, the patriarch of Latvian poetry, presented at the festival both his own poems and Gali-Dana Singer’s poems translated from Hebrew; Singer herself was the busiest figure in the festival providing the most of participants with translations either into Russian or into Hebrew. A lot of attention was paid to this mode of poetry existence during the roundtable “Poetry as a possibility and necessity”; Israeli poet and anthropologist Zali Gurevitch underlined, that through translating we understand the depth of ununderstanding behind our understanding, the volume of silence behind other people’s words. The figure of the Other, the problem of otherness were also examined at another roundtable, “Queer poetry nowadays”, coincided with the Baltic LGBT Pride: as Dory Manor put it referring to the well-known quote from Marina Tsvetaeva (All poets are Jews), belonging to a minority is a natural position for a poet. The festival program was crowned with secret ballot procedure: all the poets voted for the most brilliant author of the festival. 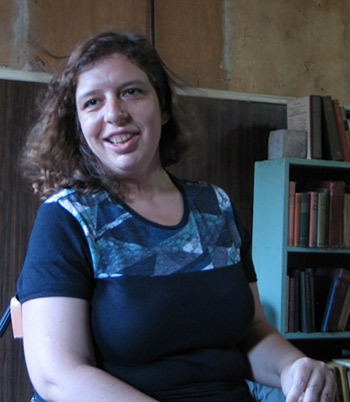 The prize of the festival was won by Efrat Mishori from Israel, the author of 7 books, earlier awarded with several significant national prizes including Prime Minister's Prize (2001). 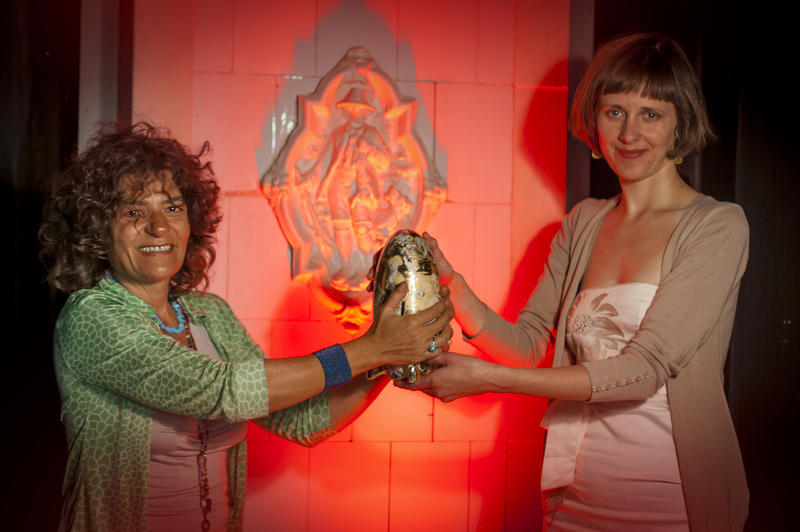 Mishori got the sculpture by promising Latvian artist Vika Eksta; her poetry collection will be published in Russian and Latvian. The bilingual Russian and Latvian collection “Cosmos Avenue” of the 2017 festival laureate, Galina Rymbu from Russia, was published just before the festival and presented by its translators Arvis Viguls and Dainis Deigelis. The festival was organized by the “Literature without borders” society and curated by Dmitry Kuzmin, Jelena Glazova and Raimonds Ķirķis. The project was supported by the Embassy of Israel in Latvia, “Nativ” organization under the Prime Minister's office of Israel and Latvian Cultural Capital Foundation. The festival was attended by the Ambassador Extraordinary and Plenipotentiary of the State of Israel in Latvia, Ms Lironne Bar-Sadeh. Dmitry Danilov throughout the 2000s won the recognition of readers and experts as a prose writer, then he also got popularity as a dramatic author: he was recently recognized as the best plawright of 2017 by the leading Russian theater award “Golden Mask”. 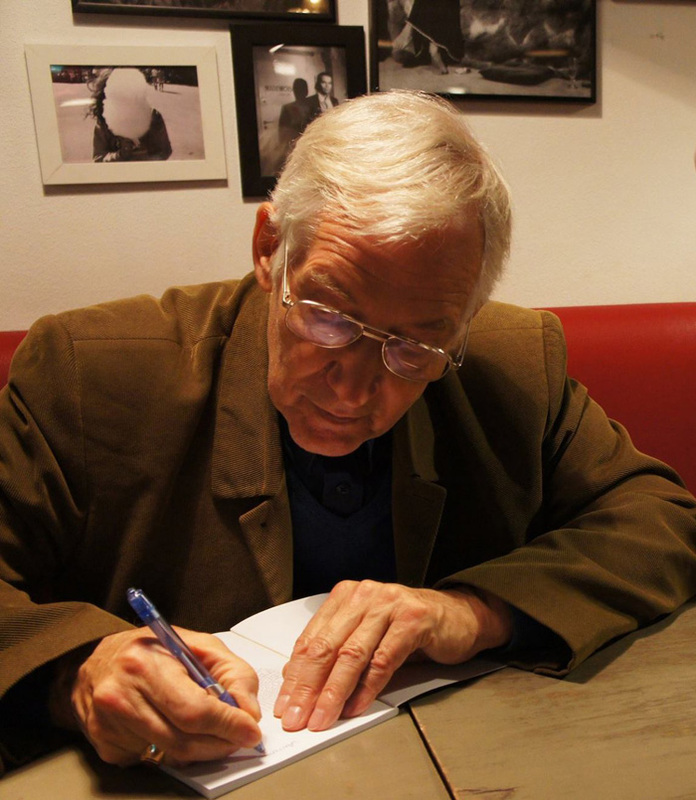 Nevertheless, Danilov confessed during his readings at the Riga club “Bolderaya” on May 12, to the greatest extent he has been busy with poetry in recent years, having published four collections of poems in five years. The verses that sounded at the evening paradoxically combine a keen observation to a diverse everyday life with immediate reflection on the precedent texts. The good-natured contemplation of an Orthodox Buddhist provides Danilov with an absolute individuality of voice plasticity. In a subsequent conversation with the writers Vladimir Ermolaev and Anton Botev, another Danilov's paradox was pointed out: innovative literary practices coexist in his life with the consistent conservatism of the socio-political position. Summarizing the discussion, Danilov noted that for him Orthodoxy, rather than becoming an answer to the basic questions of being, is instrumental in unlocking the horizon of сommonplace thinking, in providing him with new contradictions and riddles. Jaan Kaplinski's poetry collection “Wegener's Smile” (Literature Without Borders, 2017) was awarded tonight with the prize for the best Russian book of Estonian author; the book has shared the award with Elena Skulskaya's novel and Igor Kotiukh's prose poetry. The prize, established by Estonian Cultural Capital Foundation, started in 2001 and is awarded by the National Day of native languages. Polina Barskova's poetry collection “Air alert” (Literature Without Borders, 2017) was awarded tonight with “Anthologia” poetry prize established by “Novy Mir” (New World) literary magazine; the decision was announced by the magazine's editor-in-chief Andrei Vasilevsky. The prize started in 2004, among its earlier laureats there are leading Russian poets Sergei Gandlevsky, Mariya Stepanova and others. “Novy Mir” magazine is published in Moscow since January 1925. Stanislav Lvovsky's poetry collection “Poems from the book and other poems” (Literature Without Borders, 2017) was awarded tonight with the Andrei Bely Prize, as the prize's committee has announced on November 30 at Moscow International Bookfair “Non/Fiction” in Moscow. 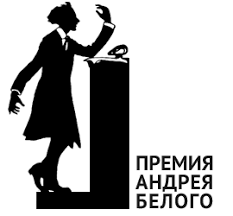 The oldest independent literary award in Russia, Andrei Bely Prize originated in 1978 in the circle of underground Leningrad (now St. Petersburg) authors many of whom had to become the founding fathers of the present Russian writing. Now the Prize is thought to be the most authoritative award for Russian poets, it is also given to prose writers, non-fiction authors, translators and curators. This year Lvovsky shared the honour with Viktor Pelevin (prose), Vadim Rudnev and Ilya Budraitskis (non-fiction), Vitaly Kalpidi and Gleb Morev (curating). On September 28 Estonian poet Jaan Kaplinski presented his second collection of Russian poems Wegener's Smile, published with Literature without borders, in Tallinn Central Library. The author was introduced by the publisher Dmitry Kuzmin as well as by Estonian poet, translator and publisher Igor Kotjuh who had published the first Kaplinski's book of Russian poetry in 2014. Kuzmin underlined that Kaplinski as a Russian poet is a perfect example of permanent crossing the borders (between languages, national cultures and poetical traditions). All the three participants of the event were reading Kaplinski's poems; in the meantime Kotjuh interviewed Kaplinski. Some topics for discussion met Kaplinski's and Kuzmin's vivid reaction: they talked in details about the poet's attitude towards Nature, about Eastern influence in his poetry, about political implications in some of the poems. The new collection of Russian poems by Jaan Kaplinski, Wegener's Smile, published with Literature without borders, was presented on September 22 for the first time in St. Petersburg in Andrei Bely Centre. Kaplinski, the world-renowned Estonian poet, had switched to Russian about ten years ago, and this is his second originally Russian book of poems after several dozens of different books in Estonian. This collection also includes some self-translations and the poems translated from different languages into Russian (including Estonian folk songs, the works of the Portuguese Fernando Pessoa, the Swedish Gunnar Ekelöf and others). Kaplinski told the audience about Russian poetry as the lasting source of his inspiration; in his teen years he started reading poetry from Mikhail Lermontov and Vladimir Mayakovsky while now the main figures for him are Vladislav Khodasevich and especially Georgy Ivanov. On the other hand, Kaplinski pointed out that he was influenced a lot with the classical Chinese poets whom he translated into Estonian and now into Russian. Then Kaplinski and the poet Elena Pestereva have read some poems and Kaplinski's self-translations from the recent collection as well as his translations from the Ancient Chinese poet Li Yu. Pestereva also recited some other Kaplinski's poems from his massive selected works going to be published in Moscow next year, including one of the poems he wrote in English (in her own translation). Trilingual festival “Poetry without borders” took place in Riga on June 2-4, 2017 for a first time. Latvian, Swedish and Russian poems, all of them as original text and in translation into two other languages, were heard in “Kanepes” cultural centre for three days. National poetry schools of three countries were represented by outstanding authors Jānis Rokpelnis, Lev Rubinstein, Ann Jäderlund as well as by the leading figures of the youngest poetry generation. Significant poets-translators from three countries also took part in the festival, including Kārlis Vērdiņš, Aljoscha Prokopjev, Lars Kleberg and Mikael Nydahl. Performing in collaboration with Moscow and Berlin musicians, Sergey Timofeyev, Natalia Azarova and Galina Rymbu added much to the special flavour of the festival. A lot of similarities between the representatives of three different national traditions get visible at the festival, especially noticeable it was with the youngest participants. Harsh social criticism starting from individual protest against everyday evil and developping into declared opposition to the basic grounds of present-day society, is common for Anne Axfors and Naima Chahboun from Sweden, Jelena Glazova from Latvia and Galina Rymbu from Russia. At the same time, the feeling of metaphysical load in every moment, the carefullness of intonational nuances and melodical modulations appeared not only in the poetry of older generations — first of all in Jäderlund's, Rokpelnis's, Azarova's works, — but also in the presentations of their literary heirs, of whom the Latvian Artis Ostups have got the warmest welcome of the audience. A way towards synthesis of metaphysical insights and political manifesto was proposed by Ida Börjel whose milestone book-length poem Ma was presented as an impressive sound performance by the author and the group of translators lead by Nadezhda Voinova. After 3 days of readings the participating poets voted by secret ballot for the most distinctive author of the festival. As its curator Dmitry Kuzmin stated, it had been unclear if the poets find a way to reach consensus. However, 7 of 11 poets voted for Galina Rymbu as the festival's laureate. Expressing her gratitude to the colleagues, Rymbu stressed that she treats her acquaintance with new foreign authors during the festival as both poetical and political impact on her personal creative potential. The laureate was awarded with the artwork by artist and sculptor Sabine Moore; besides that, the selection of Rymbu's poetry will be published in translation into two festival languages — Swedish anfd Latvian. The festival was organised with the Literature without borders society and financially supported by the Swedish Arts Council, the Swedish Academy and Lativan Cultural Capital Foundation. 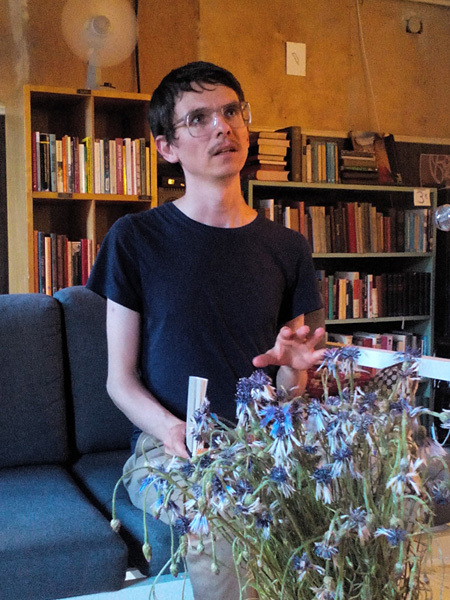 On May 6 Bolderāja bookstore in Riga held the meeting with Ukrainian poets Bohdan-Oleh Horobchuk and Ella Yevtushenko; the event was supported by Literaure Without Borders. Dmitry Kuzmin introduced both authors as key figures in their literary generations: 30 years old Gorobchuk is one of the most notable figures in the generation of 2000-ies while 20 years old Yevtushenko arose recently as a promising young talent. Alternating, the two authors presented their poems of latest period full of physiophilosophical imagery (in contrast with Gorobchuk's ironically urbanistic poetry of previous decade), Kuzmin read Russian translations. In discussion the Ukrainian guests addressed the problems of generational boundaries in the national poetry, reviewed the peculiarities of Ukrainian literary life shaped mostly by literary festivals and twisted the knife observing the role of Russian and Ukrainian languages in their own biographies and in present day Ukrainian literary landscape. The well known Russian web magazine Afisha Daily asked its audience to select the most significant books of the year 2016. Zhadan's “Everything depends only on us” finished second in the poetry nomination after the Russian translation of Fernando Pessoa's “Maritime Ode”; the latter has got 31% of votes while the former has got 25%. Among other authors praised by the Russian readers participated in this poll are Marcel Proust, Umberto Eco, Hanya Yanagihara. On October 3 the meeting of so called Euroclub, debating society of Russian intellectuals in Latvia, was dedicated to Zhadan's visit. Dmitry Kuzmin introduced Zhadan as the most powerful voice in recent Ukrainian literature and depicted him as the author who wisely combines the Romanticist self-proclaimed responsibility for the destiny of the country and its people with the Postmodern awareness about the relativity of values and ideals. Then Euroclub's chairman Igor Vatolin posed the series of questions to the author ranging from his current reading preferences to his opinion on Ukrainian political circumstances. Zhadan responded in details. He described the special language situation in Eastern Ukraine where he was born and raised, praised Kharkiv, the city of his residence, as a capital of Ukrainian student community and determined his field of interests in world poetry as the space between Bertolt Brecht and Paul Celan. Zhadan and Kuzmin also presented “Everything depends only on us”, the selection of Zhadan's poetry in Russian translations. Next day in Kaņepes Kultūras centrs the crowd celebrated the first Zhadan's book in Latvian: his novel originally titled “Voroshylovhrad” (under this name Ukrainian city of Luhansk was known during the Soviet era) is just published by Jāņa Rozes apgāds under the title “Džezs pār Donbasu” (Jazz for Donbass). In conversation with the head of the publishing house Renāte Punka, Zhadan shared his feelings about the literature in translation as the most powerful tool for mutual understanding between different nations. 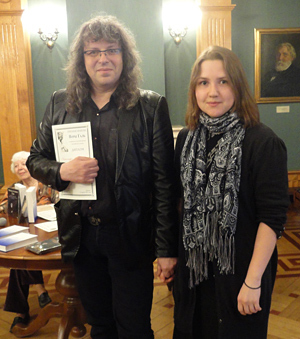 An excerpt from the novel was presented by the author and his translator Māra Poļakova. Zhadan's poems were also recited: the author read in Ukrainian, Poļakova and Māris Salējs pronounced the translations created by Salējs and Jānis Elsbergs while Platon Buravitsky assisted the reading with piano improvisations. At the 23rd Lviv International Book Fair and Literature Festival Literature Without Borders presented the two inaugurative books of its series for poetry in translation. 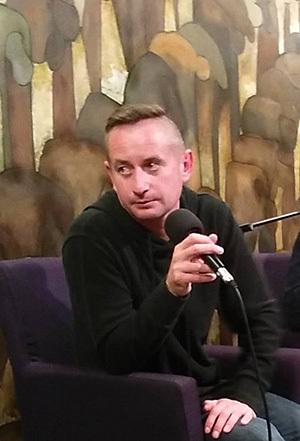 On September 17 at The Powder Tower of Lviv the readers met Serhiy Zhadan, one of the best known Ukrainian poets, and celebrated the appearance of his poetry selection in Russian translations titled “Everything depends only on us”. 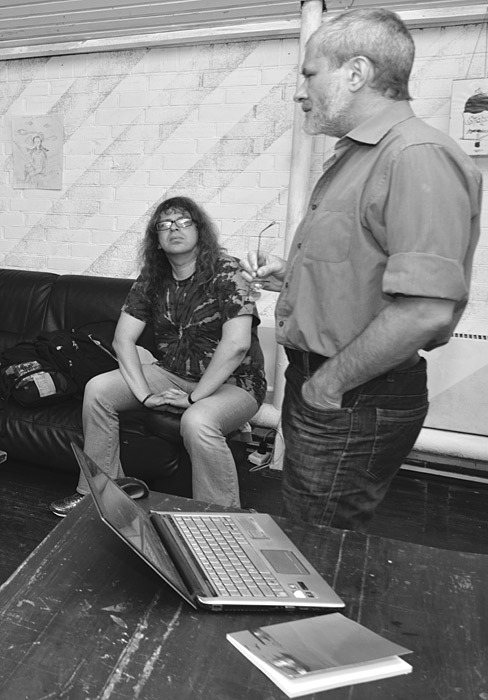 Two of the nine contributing translators, Dmitry Kuzmin and Alexei Tsvetkov, were reading their translations (both included into the book and unpublished) while the author replied to each of them with the original poem. The participants of the reading stressed that the Russian book of the Ukrainian poet stands as both cultural and political event in the present context of Russian-Ukrainian war. 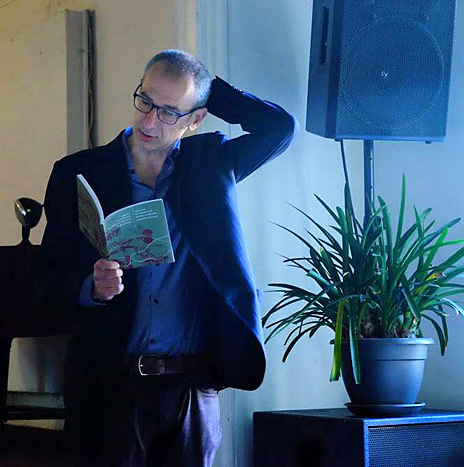 On September 18 Eugene Ostashevsky presented his poetry collection “The Life and Opinions of DJ Spinoza” in the Underground club (on the previous night he also lectured there on the code-switching and bilinguality in poetry). When reading his own poems, Ostashevsky also commented about their multicultural genesis. Interestingly, both original English poems and Russian translations made by Alexander Zapol were recited by the author throughout the event. On September 13 at NOASS art space in Riga Latvian poet Krišjānis Zeļģis and his Russian translator Aleksandr Zapol presented the book of Zeļģis's selected poems published in Moscow with ARGO-RISK publishing project. The edition was supported by The Book Institute of Russia and by Latvian Writers Union and Culture Capital Foundation in Latvia. 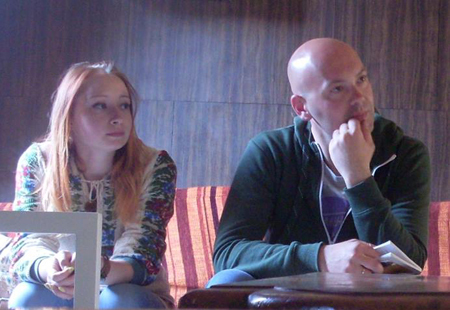 Literature Without Borders managed the presentation held within the program of All-Latvian Poetry Days. The poems of Zeļģis, elegant and condensed, represent easily recognisable everyday life of contemporary Latvian young man as a sequence of absurd contingencies depicted by unabashed and sympathetic participant observer. Zapol's translation keeps their unbuttoned intonation together with an effect of slight detachment upon a Russian reader. The book became the 7th issue of the book series earlier introduced the well known poets from France, Israel, Poland, Ukraine and Serbia to the Russian readers. «Everything depends only on us», the book of selected poems of the leading Ukrainian author Serhiy Zhadan published in Latvia by Literature Without Borders, was presented on August 26 at Zverev Centre of Contemporary Art in Moscow. 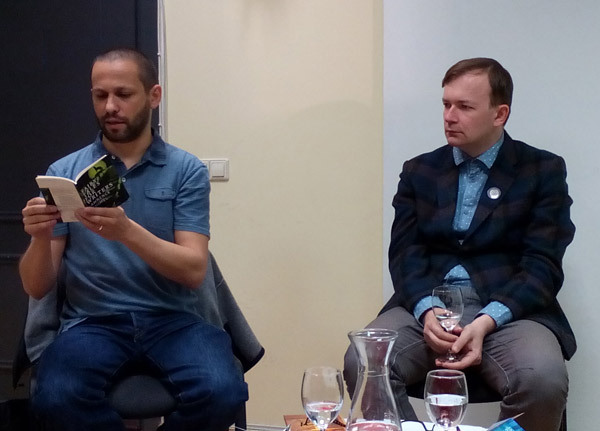 The gathering was propelled by Igor Sid, one of the contributing translators of the book, and moderated by its compiler and publisher Dmitry Kuzmin who has also submitted his translations of Zhadan's poem to the collection. Sid and Kuzmin had also cooperated in creating the first Russian edition of Zhadan's poetry back in 2003 when his «The History of Culture at the Beginning of the Century» translated by Sid appeared through Kuzmin's Moscow-based publishing project ARGO-RISK. The reading commenced with explicitly political statements by Sid and Kuzmin: while Sid introduced the book as a symbol of possible peace and understanding between Russia adn Ukraine, Kuzmin insisted that it emerged as a part of the war, a small investment to anti-fascist resistance against Putin totalitarianism. He stressed then that there are three main trends carefully intertwined in the whole body of Zhadan's poetry: the ballades transfigured from its romantic origin (when it was a preferable genre of the cultural era of national revivals) to postmodern ambiguity, — love poems rooted into the concept of love as an adventure, beatniks-style, — engaged poetry, especially of present war time but also of the previous years and strikingly predictive. The emblematic examples of these three tendencies were recited by Kuzmin in his own translation. Igor Sid and Maria Galina also presented their translations of Zhadan's poems; other 7 translating contributors living rather far from Moscow (like in New York City or in Siberia) were also named, and a single translation by any of them was recited, in especially moving address Elena Marinicheva, the best known translator of Ukrainian prose, presented a war poem by Zhadan translated by Alexei Tsvetkov and claimed that this small lament for a refugee's destiny was crucial for self-realisation of many people both in Ukraine and Russia in the moment of the military outburst in mid-2014. Some poems of Zhadan were also read in Ukrainian by Sid and the poet Arkady Shtypel. The well-known poet and critic Danila Davydov also delivered a speech and pointed out that Zhadan is an extremely important figure as the one who will cross any borders and stitch up any breaks. 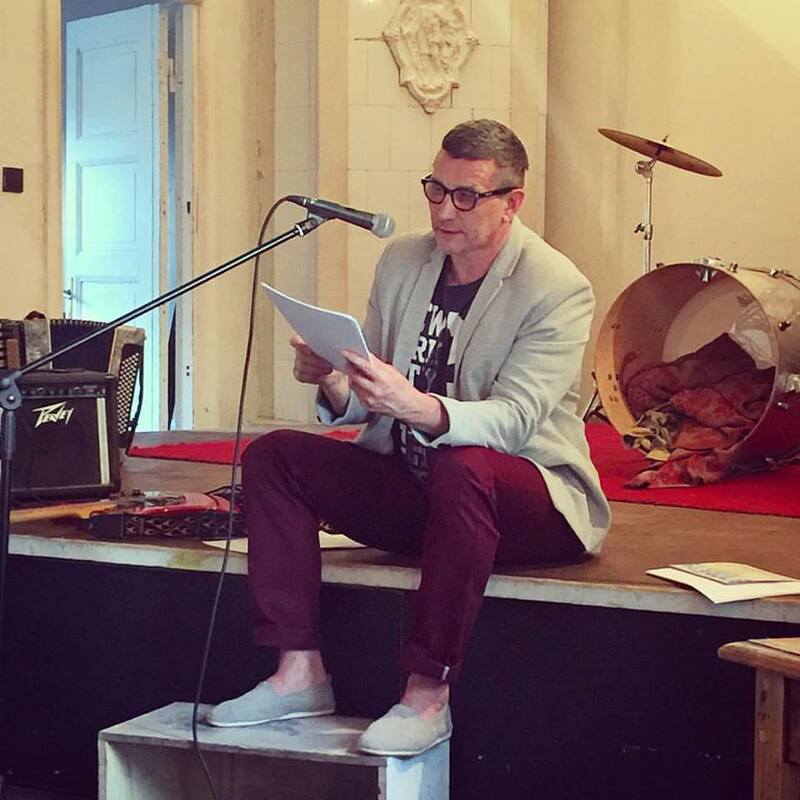 Ukrainian poet Vasyl Lozynsky on July 19 appeared in Bolderāja bookstore in Riga with the reading supported by Literaure Without Borders. Introducing the author, Dmitry Kuzmin pointed out rather special dispassionate tone and optical peculiarity of Lozynsky's poems most of which present passing, noninvolved glance at the historical moment of crucial importance that Ukraine undergoes now. Lozynsky has read the poems from his collections “Holiday after Debauchery” (2010) and “Another Country” (2016) in Ukrainian and also in English translation of Ostap Kin and Ali Kinsella. All the poems were also presented in Russian translation of Kuzmin and Fridrikh Chernyshov (the former read them all), and a few Latvian translations made by Māris Salējs were read by Artūrs Punte. The author voluntarily provided his poems with some comments to shape rather personal context behind their creation. Lawrence Schimel, the American poet, writer, translator and publisher, read his poems on June 13 in the Latvian LGBT association “Mozaika”. Introducing him, the head of Literature Without Borders project Dmitry Kuzmin underlined Schimel's all-pervading attraction to contrasts and contradictions reconciled in hybrid forms and identities; Schimel himself spoke in details about his committing to intersectional approach: as a publisher he is eager to promote the voices of underrepresented minorities of different kind (seeing, for instance, a poetry collection of gay deaf author as both gay voice in the deaf community and deaf voice in the gay community), and as a poet he revives strictly formal and pretty archaic kinds of poetry, like sestina or limerick, to fill them with some sort of provocative contents. Some poems were read from two collections of Schimel's poetry, “Fairy Tales for Writers” and “Deleted Names”. For several of them Kārlis Vērdiņš and Dmitry Kuzmin provided the translations into Latvian and Russian respectively. The audience observed a moment of silence in memory of victims of the mass shooting in Orlando. On June 12 the bilingual English and Russian edition of Eugene Ostashevsky's poetry collection “The Life and Opinions of DJ Spinoza” was presented in Kaņepes Kultūras centrs. Ostashevsky was introduced as an exemplary border-crosser: he had left Russia in the age of ten to become an English-speaking author in the USA while still bearing multiform connections with the culture of his origin. Ostashevsky demonstrated an extraordinary reciting artistry in declaiming, growling and singing his poetry; on the other hand, he provided the book as a whole and some poems in particular with elaborated comments including the general framework of Spinozian philosophy relevant for the whole concept of the book with its dual affirmative and ironical approach towards the rationalist worldview. All the poems were echoed with their Russian translations recited by the translator, Alexander Zapol. Finishing the reading, Ostashevsky answered the questions posed by Russian journalist Grigory Nekhoroshev and American poet Lawrence Schimel; in particular he stressed the special function of rhyme in his poetry as a marker of linguistic absurd. On May 30 in Bolderāja club Literature Without Borders project held the reading of USA-based Russian poet Polina Barskova. She was presented by the project's head Dmitry Kuzmin who recollected her appearance on Russian poetry scene in early 90-ies, as a teenage prodigy, and stressed that Barskova's present-day status of an outstanding poet and award-winning writer is indebted to her will and power to change oneself while being at the same time “true to their own self”. Barskova recited her brand new, mostly yet unpublished poems, most of them somehow combine personal and historical topics (this is especially important for the poem “Air alert” based on the authentic letters from the sieged Leningrad and from Stalin's concentration camps). She also presented one poem from her early collection published by Kuzmin in 1993. Several poems were recited also in Latvian translation made by Einārs Pelšs. On May 16 in Kaņepes Kultūras centrs, Riga Einārs Pelšs has presented his fourth book “Mīļākais tētis pasaulē” (The Best Father in the World) published with Literature Without Borders project. The reading was opened by Dmitry Kuzmin, he stressed that Pelšs is not only a brilliant translator of Russian poetry but also a powerful author whose crafty mastery of conceptualist writing practices serves him in general as a tool of performing deeply individual lyrical pronouncement. 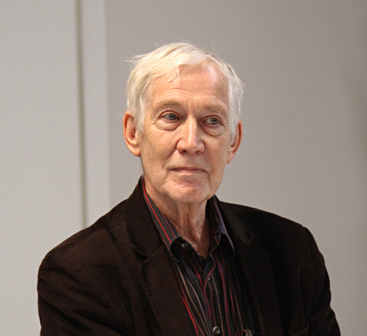 The Latvian poet Kārlis Vērdiņš in another introductory speech underlined that the marginal position of Pelšs in contemporary Latvian poetry is a responsible and well reflected choice as far as he strives to instill Latvian poetry with a spirit of experiment and game while staying, on the other hand, intrinsically personal. Pelšs recited some poems from the book as well as also included in it translations from Russian, namely the prose poems of the prominent painter Wassily Kandinsky and the poems of Igor Pomerantsev, from the latter's book earlier published with Literature Without Borders. In the breaks rock band “MotoriuM” (Kaspars Vaļinieks — guitar and vocal, Raivis Cauņa — bass, Pēteris Deķis — drums) sang several songs; another dose of music was provided with Guntis Kursišs (guitar) and Raimonds Ķirķis (drums) who also played some hard rock and then read one poem of Pelšs a due voci. The reading reached its climax in reciting the poem “Four Poets Declaim Simultaneously” by all the attendees (the author had spread its text in the audience). 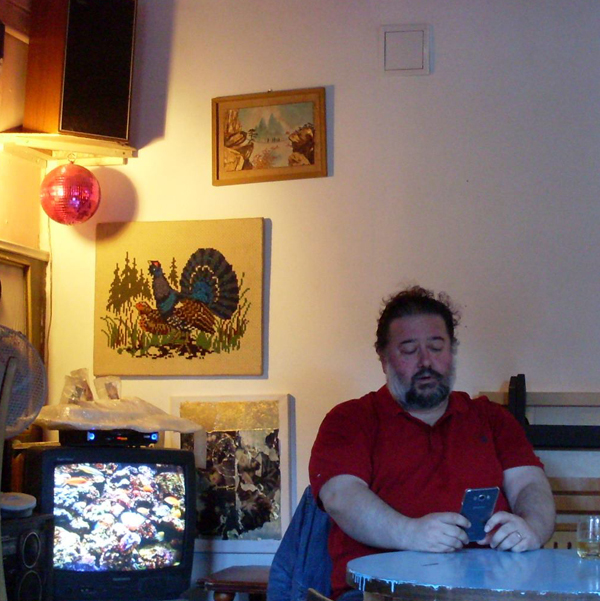 The bilingual English and Russian edition of Eugene Ostashevsky's poetry collection “The Life and Opinions of DJ Spinoza” was presented on May 10 in the independent music club Ausland in Berlin. It happened within the panel “Berlin Literary Diasporas and Multilingualism” moderated with the professor of Berlin University Dr. Susanne Frank: American poet Ostashevsky and German writer Olga Grjasnowa had both left the Soviet Union in their childhood and now write in the languages of their respective new countries though both keep a rather vivid competence in Russian language. Ostashevsky recited several poems from the new book in English as well as in Russian translation by Alexander Zapol; the German translations by Matthias Kniep and Uljana Wolf were presented by Frank. Grjasnowa read an excerpt from her second novel “The Legal Haziness of a Marriage”. Both authors discussed with Frank their distant but unindifferent relations to their Russian background. Dmitry Kuzmin as a publisher of Ostashevsky's book greeted the author and stressed the importance of his Russian origin for his original experimental poetic voice. 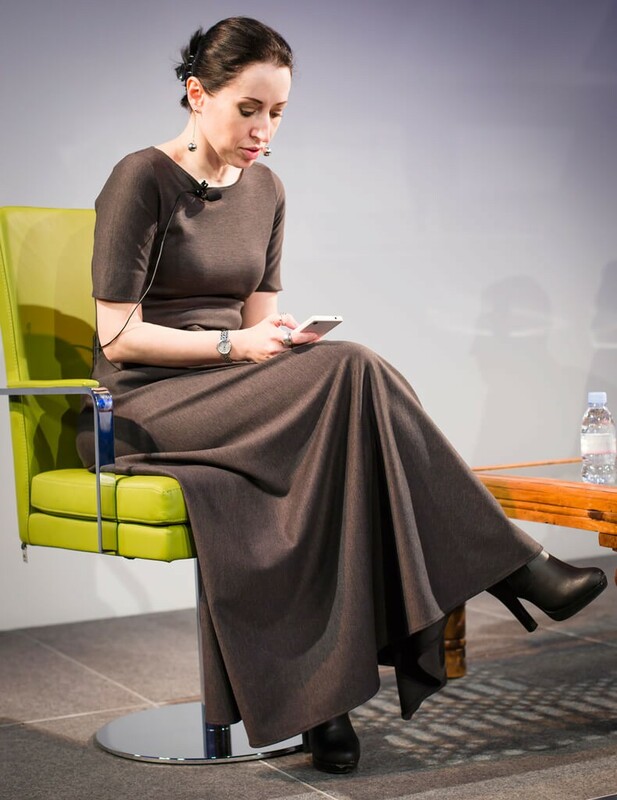 The Nora Gal Memorial Prize for the best translation of a short prose from Russian into English announced on March 27 in Moscow the winners of its fifth season. The main award went to Anna Bleiz nominated by AST Publishing House for her translation of Neil Gaiman's A Calendar of Tales. This year became inaugurational for the special grant for promising young translator within this award created in collaboration with Literature Without Borders project. The grant is to cover travelling to our residence and staying here for advancing his/her translating abilities and refining the translation nominated for the prize. The grant was awarded to Aleksandra Samarina, 21 from Moscow for translation of Don Delillo's Midnight in Dostoevsky. At March 10 the short list of “Razlichie” (Difference) poetry prize was announced. In its fourth season the prize selected “So it was a siren” by Linor Goralik among the best poetry collections of 2015, alongside with the books of Mikhail Aizenberg, Vladimir Aristov, Polina Barskova, Sergei Zavyalov and Leonid Shvab published in Moscow or St. Petersburg. 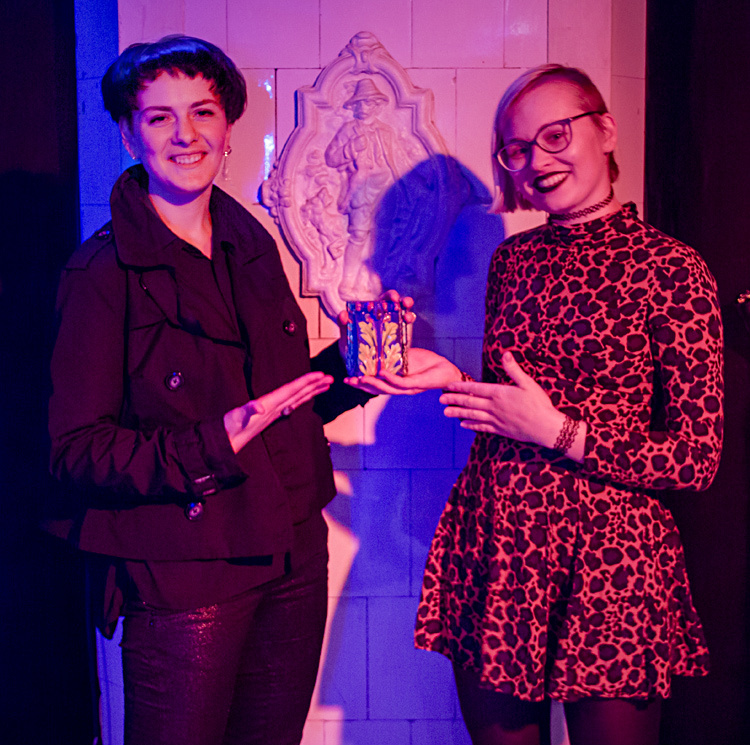 The first book of our publishing program, Linor Goralik's poetry collection “So it was a siren”, at February 19 was presented by the author to the London audience, several months after its appearance and first presentational events in Moscow and Riga. The meeting was hosted by “Open Russia” club. After reading her poems from the book Goralik answered many questions posed by the listeners, concerning not only various aspects of her multifaceted creativity but also some different social and political subjects. “I have a sense of a certain we, nonhierarchical, horizontal, very important for me. This is something like brothers and sisters which I am attached to not only due to my sympathy towards their texts but also on the ground of close personal relations,” stated Goralik speaking of her literary genealogy. At January 31 Igor Pomerantsev presented in Riga his poetry collection “Death in the best sense of the word,” published with “Literature Without Borders.” In the art gallery Happy Art Museum Pomerantsev read from the book, some poems including impressive lyric series “Magnolia, nursing” were also read by Einārs Pelšs in his Latvian translations. Pomerantsev delivered his views on his two main professional involvements, poetry and radio (as long as for several decades Pomerantsev is engaged as a presenter at Radio Liberty), treating them as closely related and intertwined. This point of view was also represented in the short-length documentary filmed by Ukrainian art scientist and film director Lydia Starodubtseva (she also had illustrated Pomerantsev's book). The 20 minutes long film shows Pomerantsev in his indirect dialogue with some other poets whom he previously hosted in his radio show. At January 14 Literature Without Borders society has held its first public event in Riga: poetry reading in support of Arabian poet Ashraf Fayadh sentenced to death in Saudi Arabia allegedly for renouncing Islam and promoting atheism in his book of poetry. This event was a part of worldwide reading initiated by a group of outstanding international writers including Nobel Prize winners Herta Müller, Elfriede Jelinek, Orhan Pamuk and Wole Soyinka, and coordinated with the team of Berlin International Poetry Festival. The final shedule of the reading consisted of 121 literary events in 43 countries. 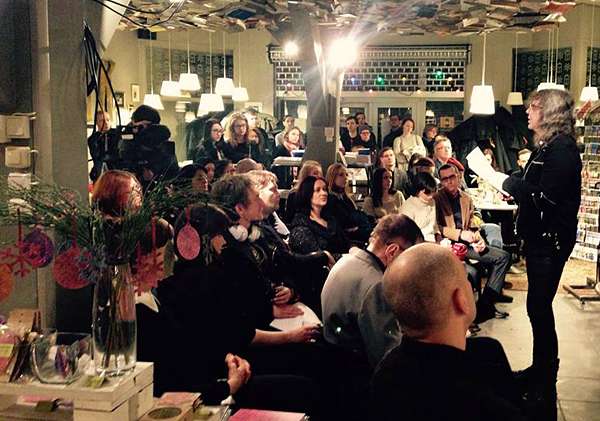 Reading in Riga took place in the club and bookstore Nice Place / Mansards, 11 authors took part in it. 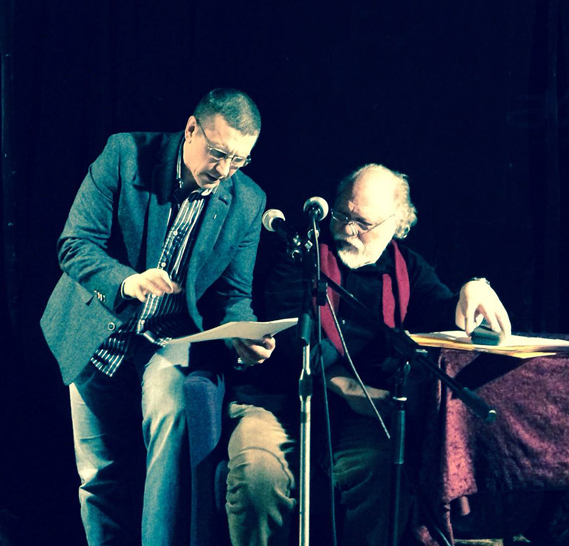 Dmitry Kuzmin and Sergey Timofeev presented Ashraf Fayadh's own poems in their translations into Russian as well as in translations of Anastasiya Shipulina and Stanislav Lvovsky. Kārlis Vērdiņš recited some poems of Kārlis Skalbe, the prominent Latvian author imprisoned in 1911 for 18 months in politically motivated case. Einārs Pelšs presented his Latvian translations of the poems of Nikolay Gumilyov and Osip Mandelshtam, two great Russian poets killed by the Soviet authorities, as well as of some poems of the present-day Russian poet from Belarus Dmitry Strotsev, deeply involved into criticizing repressive Minsk government. In the meantime Kuzmin read some poems of well-known Belarussian author Valzhyna Mort in his translation into Russian, and Arvis Vigulis read in Latvian his own poem dedicated to Mandelshtam (the reading happened to take place only a day before 125th anniversary of the Russian poet). 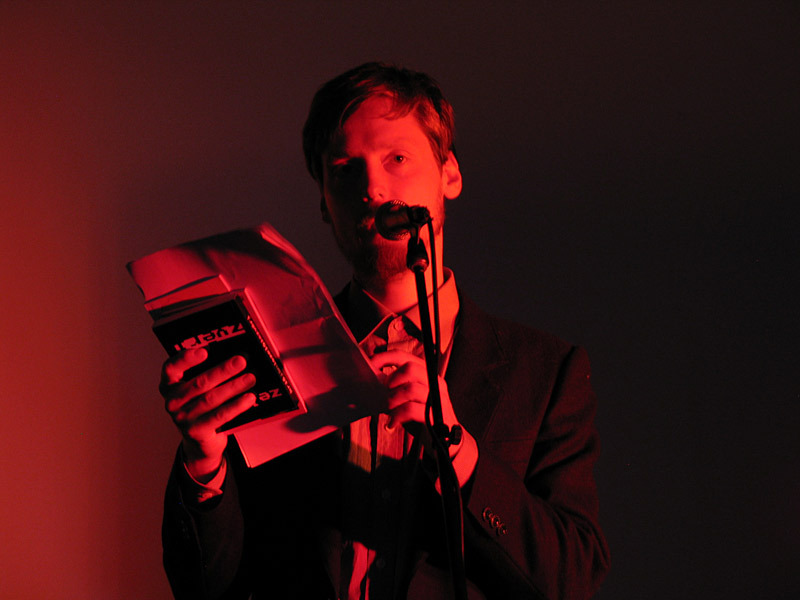 International background of the event was stressed by Toms Trejbergs reading the poem of Polish Zbigniew Herbert in English translation made by Czesław Miłosz. Besides that, Elena Glazova and Semyon Khanin read their poems in Russian, Edvīns Raups, Edgars Sondors and Jānis Rokpelnis presented their poems in Latvian, and the latter also recalled his early poem created in Russian as well as its English translation. 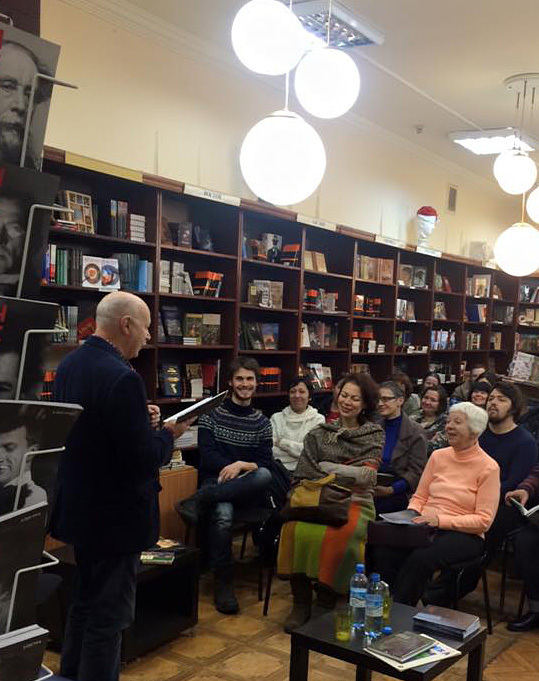 On December 17 in Moscow bookstore “At Centaurus” at the gathering of the reading club of Russian State University of Humanities Grigori Kruzhkov presented ninth poetry collection “Cold-hot” published with Literature Without Borders society. In the beginning Dmitry Kuzmin, editor-in-chief of Literature Without Borders, briefly told Moscow audience about his new Latvian project including yet published and forthcoming books. Kruzhkov read some original poems and several translations from his new book and traditionally pointed out that this is a very subtle difference between these two directions of his creative work. Some earlier poems were recited by Kruzhkov according to requests of the audience. The reading was moderated by the poet and translator Lev Oborin.